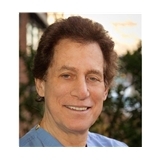 Jerrold F. Heller, DDS (New York) - Book Appointment Online! Jerrold F. Heller, DDS: We know you will find the atmosphere here friendly, our accommodations comfortable, and our technical services exceptional. We offer a variety of restorative and preventive dental services - each designed to extend the life of your teeth and total dental health; contributing to your physical comfort, outer appearance, and your inner confidence. Kidz Smile Center: We strive to make your child's first (and all subsequent!) dental visits stress-free and enjoyable. Our goal is to provide you and your child with the best resources and habits to maintain a healthy smile for an entire lifetime.